My Xbox One shuts off by itself. It starts up initially and I can use it for a few seconds. It then either turns off after about 5 seconds or just randomly turns off by itself. I can sometimes start playing a game, but once the game loads up, the Xbox shuts off. I have updated the Xbox One S to the last update from Microsoft but it still keeps turning off. Can I fix this myself or should I send it back to Microsoft for repair? I would like to know if there is anything I can do, like a simple fix I can do myself before I send it back to get it fixed. The last time I turned it on, there was an Xbox system update. I attempted to install the update but the Xbox shuts off before it will allow it to download and install. Please let me know if there is anything I can do to fix the Xbox One “Shut Off” issue. If your Xbox One or Xbox One S keeps TURNING OFF, it is most likely due to OVERHEATING. CHECK First – Check to be sure the power supply cord is connected to the Xbox securely and is not loose or damaged. CHECK Second – Be sure the Xbox power cord going to the outlet is secure and not loose or bent. CHECK Third – Make sure there is no heavy dust build-up on the air vents of the Xbox that could allow it to overheat. If you find an issue with the Xbox power supply cord, replace it. If the power supply itself is faulty, replace it. – Turn off the Xbox console and unplug it from the wall outlet. – Wait at least 30 minutes to 60 minutes before plugging back in and restarting. – If needed move the Xbox to a good ventilated area away from other components. – After 30 to 60 minutes, plug the Xbox back in, and turn on the Xbox. XBOX TURNS OFF – FIX SOLUTION 1: A component may be on top of the Xbox One S causing overheat (blocking the hot air vents). EXPLANATION OF PROBLEM: If you have something such as a Blu-Ray Player or a Cable Box sitting on top of the Xbox One S, this may be causing the console to overheat as the fan inside the console is unable to expel the hot air and is therefore overheating. Also, depending on which Xbox you have, the heat fan may expel the hot air out the back. Make sure the Xbox is not in too small of an enclosed area or there is nothing touching or too close to the back of the Xbox air vents and therefore not letting the hot air expel properly. HOW TO FIX XBOX THAT TURNS OFF WITH NO VENTILATION: Make sure the Xbox is well ventilated. Remove anything on top or behind the Xbox console that may be blocking the vents where the hot air is being released and therefore the Xbox overheats and shuts off. Keep the Xbox away from other components and do not place anything on top of it if you have the Xbox One S where the heat expels from the top of the console. XBOX RANDOMLY TURNS OFF – FIX SOLUTION 2: Dust has built up on the Xbox internal Heat Fan thus causing overheat and therefore the console turns OFF by itself or randomly shuts off. EXPLANATION OF PROBLEM: A mass of dust, animal hair, or lint may have built up on the internal heat fan. A mass of dust or dirt can cause the Xbox to overheat and turn OFF. The heat fan may not be able to spin properly or is not spinning at all and cannot expel the heat from within the Xbox, therefore the Xbox overheats and turns off by itself. HOW TO FIX XBOX WITH HEAT FAN CAKED WITH DUST: First try and use “Dust-Off” or “Air in A Can” to blow air into the vents of the Xbox to try and remove any dust that is preventing the Xbox from expelling hot air. If this does not work then you will need to take the Xbox apart and clean the heat fan and air vents from the inside. 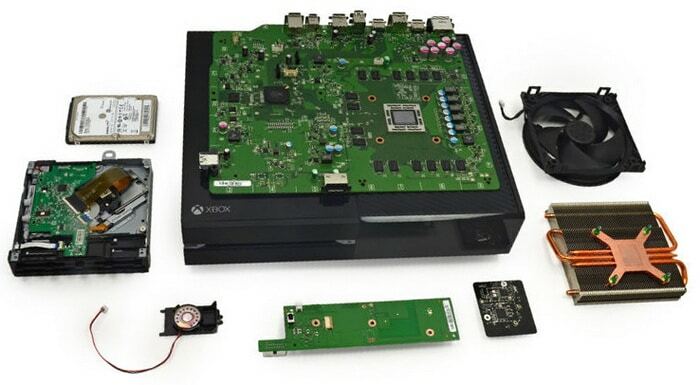 If this is the case… Use caution and take the Xbox apart. Clean the heat fan and vents with Dust-Off or a similar anti static dust remover. 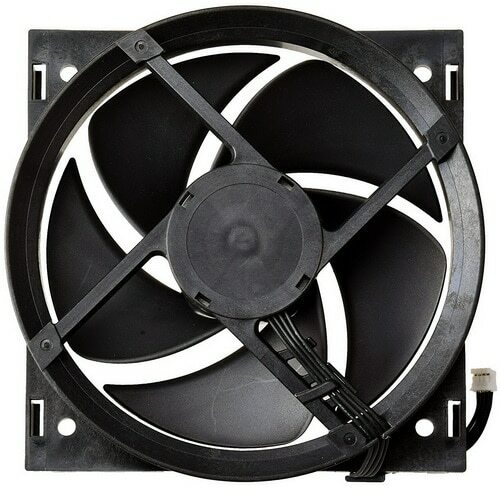 Clean the fan and remove all the dirt, dust, or animal hair that is causing the fan to not be able to expel the hot air. 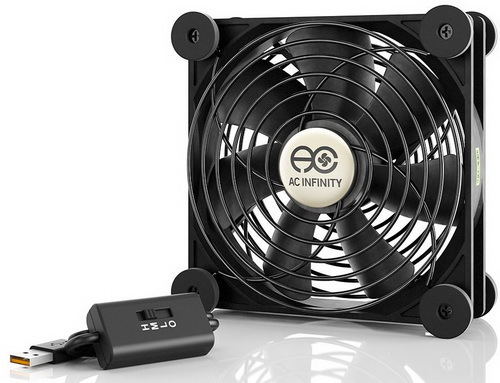 Use the Dust-Off product to clean out the complete inside of the Xbox including the fan and the vents where the hot air is expelled. Use caution when taking the Xbox apart by using a static wrist band. Do not touch any internal parts inside the Xbox to avoid static damage. 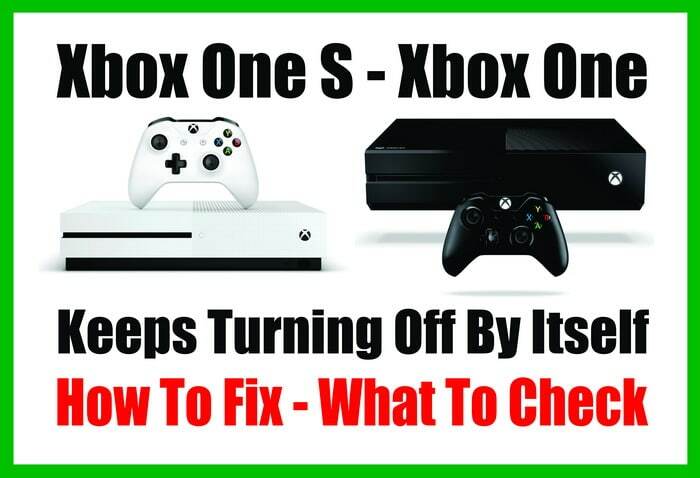 XBOX SHUTS OFF – FIX SOLUTION 3: The end of the power cord going into the Xbox or into the outlet is damaged or loose. EXPLANATION OF PROBLEM: The power cord going into the Xbox may have been damaged or bent. This could mean the power cord going into the Xbox is disconnecting intermittently and this is why the Xbox shuts off. HOW TO FIX XBOX WITH FAULTY POWER CORD: You can try and bend the power cord back into the correct shape to fit and stay secure into the Xbox. If not, it is best to simply replace the power cord, either just one part of the cord or the complete power supply (depending on the model of Xbox you have). Inspect the complete power cord from end to end, if you find any damage, replace it with a new one. 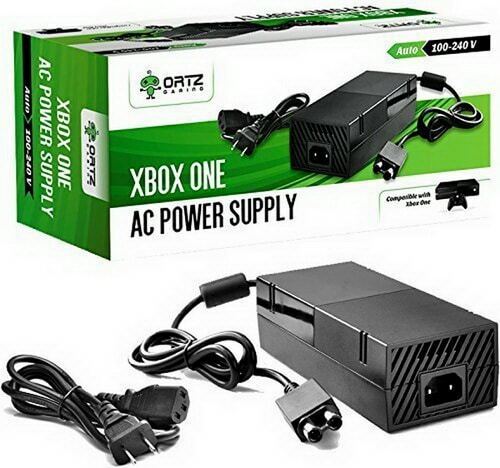 Troubleshoot the Xbox One power supply – Power Supply Issue? XBOX KEEPS TURNING OFF – FIX SOLUTION 4: The internal heat fan in the Xbox may be faulty, thus causing the Xbox to overheat and turn off. EXPLANATION OF PROBLEM: The heat fan inside your Xbox may be faulty or disconnected. This means the Xbox has no way to expel the hot air within. If this is the case, you will have to open the Xbox and inspect the fan (make sure it is electrically connected). If you find the fan to be faulty, remove and replace the Xbox heat fan. HOW TO FIX XBOX THAT KEEPS TURNING OFF: Use caution and take the Xbox apart. Use caution when taking the Xbox apart by using a static wrist band. Avoid touching other internal parts inside the Xbox to avoid static damage. Remove the Xbox heat fan and replace it with a new one. Once it is connected and installed properly, clean the rest of the inside of the Xbox with “Air In A Can” or similar to remove any other dirt or dust that may be inside the console. If you have made sure there is nothing blocking the air vents, the heat fan is not caked with dust, the power cord is not damaged or bent, and the heat fan is connected and working, but the Xbox still shuts off by itself, there may be another issue that could be software related or hardware related. Try resetting the Xbox. Also, be sure you have the latest Xbox update so the console is up to date. NOTE: If your Xbox is connected to the internet using a wireless connection: Some wireless routers have some settings that can cause your Xbox One console to shut down randomly. A power saving setting on the router or another network setting may cause your console to shut down or turn off by itself. How do I turn off my Xbox One S? From the main menu, go to HOME, then move the controller to the left and scroll down to SETTINGS and you will see where it says TURN OFF CONSOLE, select this option to turn off the Xbox console. How do I restart my Xbox One S? From the main menu, go to HOME, then move the controller to the left and scroll down to SETTINGS and you will see where it says RESTART CONSOLE, select this option to restart the Xbox console. If your Xbox still shuts off by itself, please leave a comment below explaining your issue and let us know the Xbox model number you have and the exact issue you are experiencing and we can assist you in troubleshooting your Xbox to get it working again. Mine just overheated WHEN IT WAS ALREADY TURNED OFF! I could hear a ticking noise coming from it but thought nothing of it… but it persisted and a burning smell was very apparent so I went to see if it was from the Xbox and it was scalding hot to touch and smelt terribly bad of burning! What could cause this to happen to one that’s already turned off? I had played for a few hours, but didn’t notice the ticking noise till over an hour after I turned it off. I had to immediately unplug it because I’m damn certain it would have caused a housefire! It’s a few years old now, but no vents are obstructed the console literally hasn’t moved since the day I bought it. So i recently bought and Xbox One S. I can be playing a game or just leaving it on and after a couple of hours it just beeps and shits off and my controller and everything Is disconnected. My Xbox won’t turn back on with the controller. Also, I can have the Xbox completely shut down and the next morning it won’t turn on with the controller again. Ive tooken it apart and cleaned it and there was barwly any dust to begin with. It isnt over heating. Any help appricated. I have an years old Xbox One and it lasts up to a minute when I turn it on before turning off. I launch up a game and it’s gone. I can fix it but only temporarily if I unplug everything and wait 2 hours, then plug it back in, but that’s not cutting it you have to wait so long and it doesn’t even last. My entire family loves playing on this Xbox so we really need a permanent fix, please help. I checked if the wires we bent or it was overheated and it was neither. After it shuts off one time it won’t turn on until I do the temporary fix. I turn my xbox on and it will have a different combo after a while. It will make the noise of powering off and then the disk tray noise and then shut down. Or the other way around and it doesn’t do it while it’s off. Does anyone know what’s up? I have an 1Tb Xbox one. It keeps turning off by itself directly after start up. The fan works, there is no dust inside I have taken it apart and blew it all out, I just went and bought a new power brick. It beeps by itself even it’s the touch ribbon disconnected. I have researched this for hours and still nothing. It’s not the wireless router or any other problems that I have seen. My X-Box One S shuts off immediately after being turned on, it has not run for two seconds even; so I doubt it is overheating. What should I check first? Initially it would run for two or three hours and then randomly shut off. The time before it shut off got shorter and more frequent. Now it doesn’t even make it to the load screen before it shuts off. Check if the fan actually spins. If the fan does not spin after you turn it on the XBox senses this and turns itself off because of a chance for overheating. You will have to open it up to check. Most people think it is the power supply, but the internals are a little different with the One S.
I currently have the same issue,,, did you ever fix your issue? Please help , thank you. How do i fix my Xbox 1 when I try and play a game but then just shuts off..
Just brought a pre owned Xbox one S and it has turned it self off during the very first update, unfortunately we only have wireless internet at the moment and connection isn’t the best. I’m wondering would the ‘power save’ already be enabled and could that be the problem and if so is there a way to turn it off? I turn on my Xbox One and it runs fine if I launch an app like Netflix or Pandora nothing happens. But when i go to play a game my Xbox goes into overheat mode and shuts off. When i disconnect the power cord and plug it back in my Xbox turns back on but if i go to try and play a game the same thing happens. The Xbox doesn’t turn off right away when i launch the game but after it has been up for 4-7 min. Try using a bottle of compressed air and blowing into the air vents on top of the Xbox One to remove any dust. Let us know what you find or if that works. Does anyone know what exactly the problem my xbox one is giving me, it turns of in multiple scenarios like starting my xbox one, starting a game or playing the game, whenever it turns off the power supply isnt even barely hot or warm neither my console but the light turns black and i have to troubleshoot it to start it up and it does the same thing all over again, the console and psu unit is very well ventilated and there is no obstacles blocking its fans i tried dusting it off or cleaning it but it still is giving me the same problem. Try going into settings and restarting the console yourself. You may have an issue and restarting from the setting could resolve. You can also try to update the XBOX ONE by using microsoft in the settings to see if there is an update to your xbox that may be causing the issue. You could also have a defective XBOX ONE. How old is your XBOX ONE? Can anyone help me, I dropped my Xbox and now it doesnt turn on. When you try to turn it on it turns off after about 5 seconds. I had a look inside it and everything looks fine, the Xbox support people told me it was probably a sensor stopping it from turning on. I got a new XBOX ONE S and when i play a game, the game freezes and makes a noise and then xbox power goes off. I don’t know when it will do that, it can do that after 20 minutes or after 2 hours or after 1 day, what is the problem? Also, the place I got don’t accept to repair it! Just got a brand new Xbox One S a couple of days ago. Replacing my 2 year old original Xbox One. While playing a game for no more than an hour, the xbox just turned itself off. If I turn it on by using the button on the console itself, the light lights up for about 2-3 seconds, and then turns itself back off. (I can’t even power the unit up by using the controller). It doesn’t even give the console enough time to boot up and display anything on the TV. There is definitely not any dust build-up. The console isn’t hot at all, barely even warm. I’ve checked the power connections on the console side and outlet side, and everything is nice and tight. I’ve even tried moving to another outlet and I get the same result. What now? If the Xbox One S is brand new and shutting off after an hour of gaming, it may have a faulty fan or other hardware issue. If brand new, take it back to the store you purchased it and let them know the issue. It will be covered by warranty. I have the same problem but my connection is WIRED! When i try to access Settings or Games and Apps for example and my connection cuts out and comes back again. When i enter Games and Apps to check a game, it freezes because my connection is cut and then back to the dashboard. BUT (games and app section ) STILL FREEZES AND CANNOT OPEN and in the same time i can access other things but feeezes too and then my XBOX ONE S turns off. I have exactly the same problem, I purchased a second hand xbox one s, it was ok for a few weeks then it started burning and shutting down, this became more and more frequent. So I went out and bought a new one, which has been doing the same since day one, only had it 3 weeks and I can’t even get 5 mins gameplay out of it. I have tried different power leads, internet wireless/wired/off altogether, it isn’t even warm nevermind overheating. I’ve tried it in two power sockets on that are on different breakers, I’ve tried customizing t.v. settings, tried allowing the xbox control of the t.v. , allowing automated t.v. settings. I see everyone’s talking about the same problem I have on many different websites. Tech says the same thing over and over and we do the troubleshooting over and over so wth.. what is going on with the Xbox!? Tech guys!? What’s the problem with the Xbox console!!!!!!? I’ve opened my Xbox and cleaned it very well and same with the power brick after getting a new power brick. I’ve done everythinggg. The Xbox starts then 5 min later it turns off. I know there’s an answer..
Next post: What Is HDR On A TV And How Does High Dynamic Range Work?